When venturing to an unfamiliar area or new marina, it's always helpful to have some ideas as to where to eat and what to do. 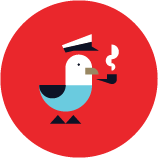 That's why we reached out to marina managers to get recommendations straight from the source! First up: Puerto del Rey in Fajardo, Puerto Rico. 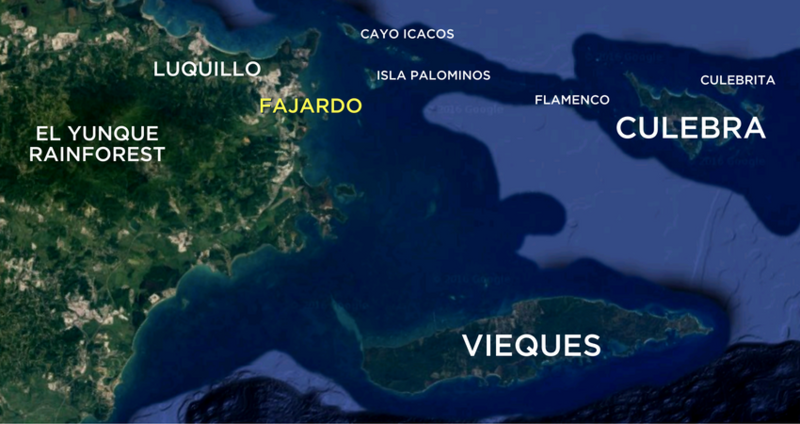 Fajardo, a small city on the northeast coast of Puerto Rico, has fantastic culture, climate, cuisine, and proximity to nearby small islands such as Vieques and Culebra. 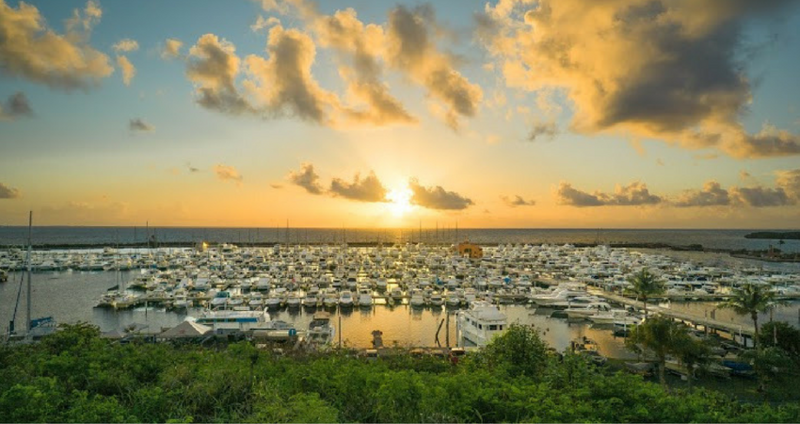 With more than 1,000 slips and extensive facilities on the southern border of Fajardo, Puerto del Rey Marina is the largest and most complete marina in the Caribbean, – with a big heart to match: you can always expect a warm welcome from their attentive team, and a wealth of information and assistance from Nelson, the on-site concierge. The entrance to Puerto del Rey Marina is pretty straight forward: we recommend boaters observe the buoys, monitor GPS, and keep boat speed below 5MPH approaching the breakwater. Please be mindful of the dolphin and manatee populations that inhabit the bay and marina waters. If you need help, the marina monitors channels 71 and 16. We love a good marina livestream feed: click here to see current conditions in Fajardo, Puerto Rico. If you're looking for local delicacies like mofongo, pastelillos and arroz con habichuelas, look no further than Puerto del Rey Marina's on-site seafood restaurant La Cueva del Mar. More great recommendations: Las Brisas Restaurant in El Conquistador, or the brick-oven pizza from Entre Pizzas y Leña. Start your day with a hearty breakfast: El Flamboyán and Erik's Gyros & Deli are two great breakfast spots in Luquillo, about 15 minutes away. 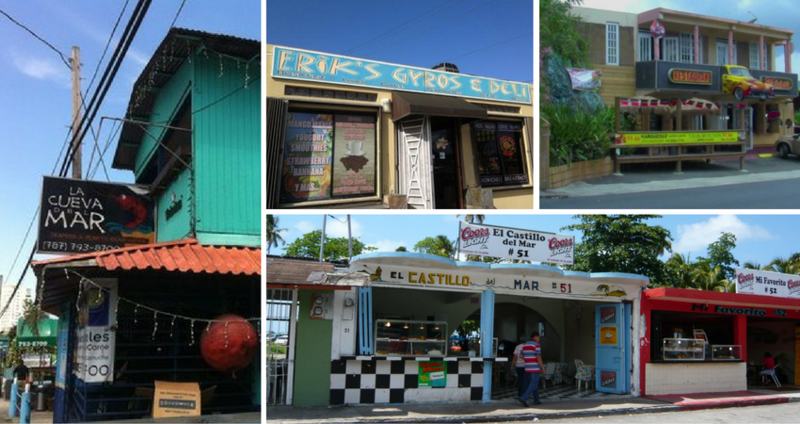 La Estación is another local gem that makes traditional Puerto Rican food with a modern twist. Looking for a solid watering hole? Check out El Anamu Bar & Grill, Board Riders in Luquillo and the famous Kioskos de Luquillo. Guests can provision right at Puerto del Rey Marina through the marina's concierge office, as well as at the on-site Deli Market and Marina Supply Store. There are also several nearby grocery stores and a large West Marine within 20 minutes of the marina. 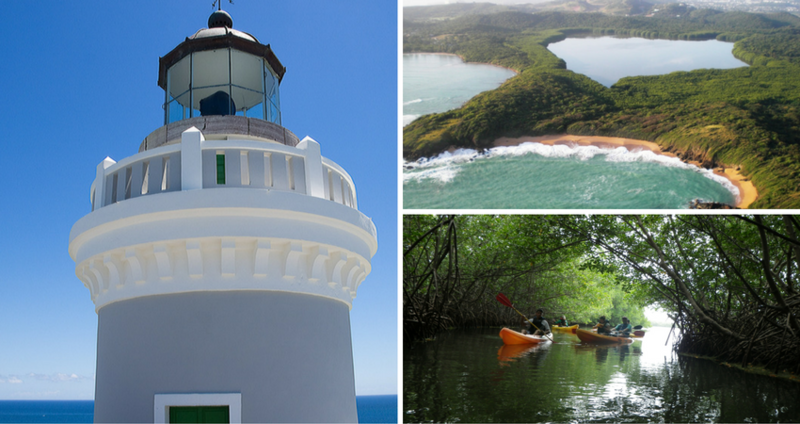 Puerto Rico has something for everyone! Visitors can choose between five 18-hole golf courses within 20 miles of the marina. 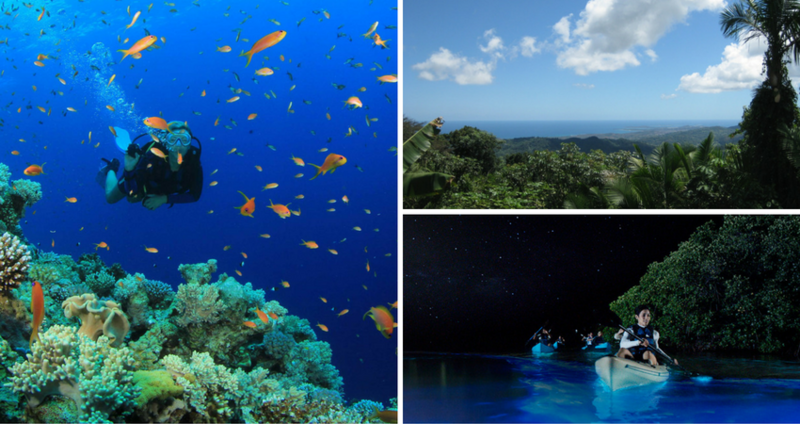 For the more adventurous types, check out the ATV and horseback riding tours through El Yunque Rainforest, ziplining adventures, SCUBA diving, and kayaking tours in Bioluminescent Bay. You can also hike trails and bathe in rivers in the rainforest. All this no more than 15 minutes from the marina! Isla Palominos and Cayo Icacos, both within 10NM of Puerto del Rey, are two great places to anchor for a relaxing day. 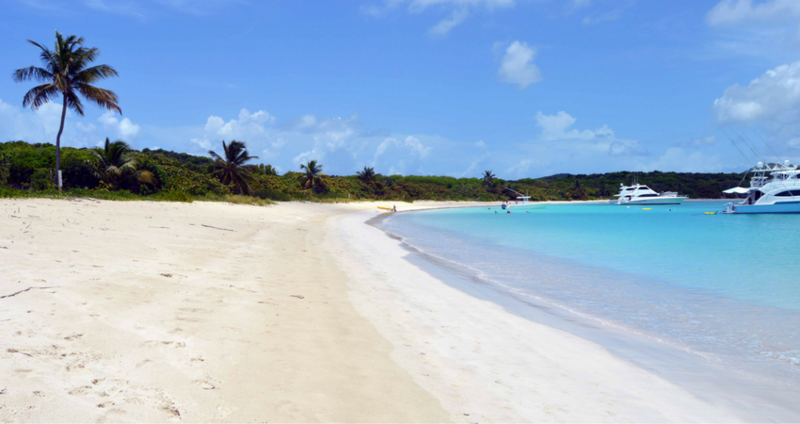 Isla Culebra is about 20NM away and has several white sand beaches, two of which – Flamenco & Culebrita – have been named among the world's Top 10. Las Cabezas de San Juan Natural Reserve is located several miles north of Puerto del Rey. Not only is it home to an historic lighthouse, lit in 1882, but it is also one of the most ecologically diverse areas on the island. It is home to a bio-luminescent lagoon, mangroves, coral reefs, dry forests, sandy and rocky beaches; you can visit all these ecosystems the same day! Las Tinajas and La Zanja de Fajardo are two of nature's hidden gems that the Concierge and Customer Service teams at Puerto del Rey Marina can help you find. The marina itself has a wide variety of local flora throughout the marina, including several fruits like passion fruit, Barbadian cherries and avocados. There's plenty to do at Puerto del Rey Marina. Those visiting in late October can catch the Puerto del Rey Billfish Tournament, as well as the local farmer and artisan market. The first Saturday of every month guests are treated to cocktails and hors d'oeuvres in the Captains Lounge with marina management team members. In January, the marina throws a party to celebrate the holidays and kick off the new year! We love dockdogs, and we'd be remiss if we didn't give a shout-out to Sasa! Known as Sasa the SeaTow Dog, Puerto del Rey's resident pup patrols the premises to keep things under control. Many thanks to the team at Puerto del Rey for providing this excellent intel! If you're cruising to the islands this winter, make sure to include some quality time at Puerto del Rey Marina in your floatplan.